January 2, 1944. The scouts of 7th Marine entered the unknown and unnamed creek with only desultory sniper fire from the Japanese defenders. 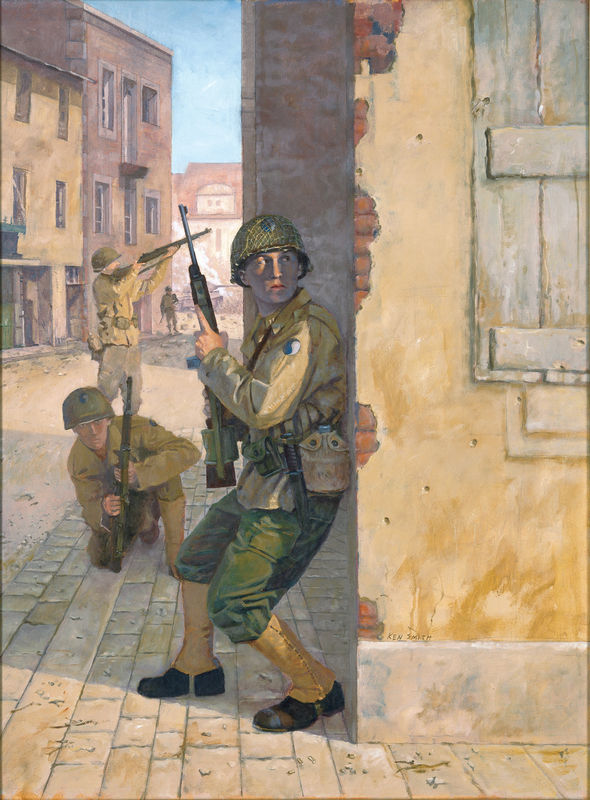 More Marines followed down the steep and muddy banks, into the swift-flowing water, and up into the dense and tangled jungle, where the Japanese defender waited—unseen and unheard—inside a network of pillboxes and log emplacements sporting machine guns carefully sighted to sweep the slopes of both creek banks with interlacing fire. THE ORIGINAL ARTWORK OF GREEN HELL IS AVAILABLE FOR PURCHASE.